Have you experienced flooding in Wivelsfield? Do you have particular concerns about where this may happen? If so, please come along on Monday 3 September to talk to representatives of the Ouse and Adur Rivers Trust and Lewes District Council who are seeking community input on local flooding issues. The meeting will provide an opportunity to hear about the steps which are being taken to tackle issues raised by residents, to view the landscaping plans and put questions to Chris Traill and Stuart Forrester from Cala Homes. 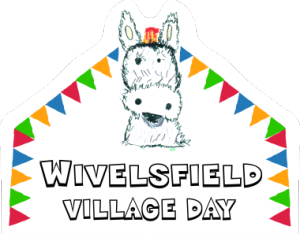 Every year the whole village, friends and visitors get together to enjoy food, drink, local crafts, catch up with what’s happening in and around Wivelsfield, be entertained and generally have some fun.